Hurricane Katrina sets a teenage girl adrift. But a new life — and the promise of love — emerges in this rich, highly readable debut. 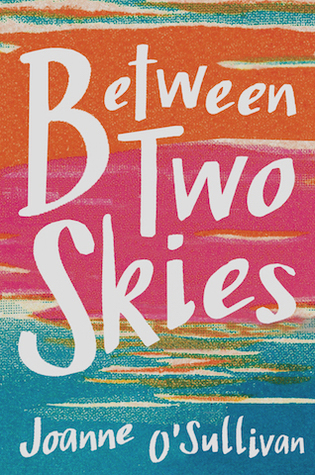 Between Two Skies became the contemporary read I needed when I didn’t even know I needed one. After attempting to read book after book and not loving any of them, this book appeared exactly when I began to lose hope. The main character, Evangeline, is a strong female lead who follows her heart throughout the whole story, even when the world around her didn’t provide her may other options. She stuck to her guns and made choices she truly believed in and she never lost sight of what really mattered. Tru was an absolutely wonderful love interest for Evangeline and was a key component to the story, while Mandy, Danielle and Kendra helped Evangeline to grow and become the person she was at the end. She needed the trials and difficulties these people put her through and the issues her family was experiencing to help get her through the entirety of the story and her experience by being uprooted from everything she’d known before the storm. This story moved me and was so incredibly powerful – it gave me a glimpse of life after Hurricane Katrina that I could not have imagined having not lived in its path. I am so grateful to this story for providing a realistic experience of what happened to thousands of families after this tragedy struck, and I have added this to my favorites shelf permanently. Between Two Skies was my selection for the May, YA Once Upon a Book Club box. To read more about what was included, click here! I absolutely recommend this stunning contemporary to anyone who is looking for an eye-opening book on the hardships Hurricane Katrina brought to teens and families alike.